Report On Business Magazine Top 1000 market outlook: Is this the year the correction hits? Top 1000 market outlook: Is this the year the correction hits? A year ago, many respected analysts and money managers were warning that the U.S. stock market, which is one of the most powerful forces propelling the Canadian market, looked dangerously overvalued after a record-shattering climb following the financial crisis. They advised investors to limit their U.S. exposure, choose sectors and stocks carefully in Canada’s sluggish market, and consider shifting money to Asia and Europe. As he has been for almost a decade, Belski, a fit-looking 52-year-old, was an outlier—a brash optimist about U.S. prospects. This is partly because he’s an American, he explains. Born and raised in Minnesota, he now divides his month between his home state, Wall Street and Bay Street. “We’ll always be more aggressive than Canadians,” he says. Back in 2009, Belski looked at reams of data and concluded that the United States was heading into a 20-year bull market. He’s been repeating that call ever since. If anything, Belski wasn’t upbeat enough. BMO’s Investment Outlook for last year said the benchmark Standard & Poor’s 500 Index had “a very good chance of delivering at least high-single-digit gains.” As things turned out, the S&P 500 roared up by almost 20%, far ahead of the S&P/TSX Composite’s 6% rise. This spring, many of the economic fundamentals in North America remain about the same as a year ago—growth in GDP and corporate earnings are still robust and unemployment is low, but interest rates are heading up, government debt is soaring and U.S. President Donald Trump is threatening yet more turmoil of all sorts. So a lot of strategists are delivering stock market forecasts similar to those they made in 2017. Many of the disagreements among them are based on differences in basic attitude. Ever the bull, Belski is predicting another 10% climb in the S&P 500 and a solid 8.5% gain in the S&P/TSX Composite. His overall advice for investing in U.S. stocks? “Rinse and repeat.” In Canada, he says the best word to describe the market’s prospects is “mundane,” but mundane works if you pick the right individual stocks. 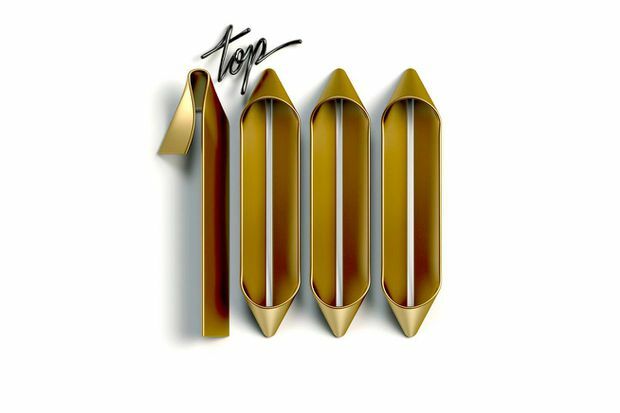 Our annual Top 1000 tables reveal strong performers in several Canadian sectors. Quebec-based convenience store juggernaut Alimentation Couche-Tard vaults past the big banks to become No. 1 in our annual ranking by revenue. The chain continues to expand rapidly by acquisitions, mostly in the fragmented U.S. convenience store market. Manulife Financial slipped from the top spot to No. 2 as life insurers continue to struggle in North America. But many analysts are bullish on Manulife and Sun Life because of their fast-growing operations in Asia. Despite those bright spots, David Rosenberg, chief economist and strategist at Gluskin Sheff + Associates—who once insisted he was not a “perma-bear” but a “capital preservationist”—is far less gung-ho than Belski. He says the alarm bells in the United States are ringing even louder this year, and he ticks off a list. Cautious Janet Yellen has been succeeded as Federal Reserve chair by hawkish Jerome Powell, who seems more inclined to hike interest rates. Inflation and bond yields are rising. Tax cuts passed in 2017 will be succeeded by higher U.S. tariffs, which Rosenberg says are “a tax on global production and U.S. consumption.” Aging demographics, rapid technological change and intense competitive pressures also persist. Upside appears to be limited in all three major sectors. The Big Six banks continue to trade near record highs, but their astonishing ascent since the financial crisis slowed last year. Many investors are clearly worried that this may be as good as it gets. Shares of energy and mining companies continue to drift sideways as oil and commodity prices find their feet again. So how can you make money in a mundane and lopsided market? A look at a couple of the best-performing Canadian equity funds over the past year reveals some intriguing approaches. The Resolute Performance Fund tops Globe Investor’s ranking with a 34.7% one-year gain to the end of February. It is run by Tom Stanley, 63, a highly respected contrarian in Toronto. Stanley deliberately keeps his fund relatively small—now just under $400 million—and markets it only to accredited investors with a $50,000 minimum. To try to beat the index, he’ll often make very large long-term bets on specific sectors. “My goal has never been to mimic the market,” he says. Stanley has been alarmed by the rise in stock prices for years. “Markets in North America are grossly overvalued by every metric you would use,” he says. He’s certain a big correction lies ahead, and he has invested much of his fund in a classic refuge—precious metals stocks. When gold prices sank from more than $1,600 (U.S.) an ounce to close to $1,000 in 2013 and 2014, his fund drifted down, too. But after bullion prices turned back up in 2015, his fund more than doubled in value. Another (perhaps surprising) winning strategy has been investing in Quebec. The First Asset Morningstar National Bank Quebec Index ETF buys companies headquartered in Quebec, and by doing so, it has assembled what, in many ways, is a more diverse and promising asset mix than the S&P/TSX Composite. Almost half of its holdings are in consumer stocks—led by soaring Alimentation Couche-Tard and Dollarama—with just 18% in financials, no oil and hardly any materials. The fund has much higher weightings in technology (6%) and health care (5%) than the TSX. Over the past five years it has posted an average annual total return of 13.7%, almost double the 6.9% return from the S&P/TSX Composite. To help you pick stocks, we have again added a stock rating system to this year’s Top 1000. Investing expert Norman Rothery has graded the 250 biggest stocks on the TSX by revenue from one to five stars, resulting in 20 recommended Megastar stocks. The main stock table features the 150 largest Canadian companies by revenue, and the full Top 1000. Aside from these tools, you may just need a confidence boost to invest more successfully. In BMO Capital Markets’ 2018 Outlook, Belski reviews his call for a 20-year U.S. bull market by outlining the three stages of secular bull markets: reaction, acceptance and euphoria. In his view, nine years after the financial crisis, investors are finally moving from reaction—wondering if the climb is for real—to acceptance. If he’s right, there’s still more room to run. Party on.